Haifa Group is a multinational corporation and a global leading supplier for agriculture and industry. 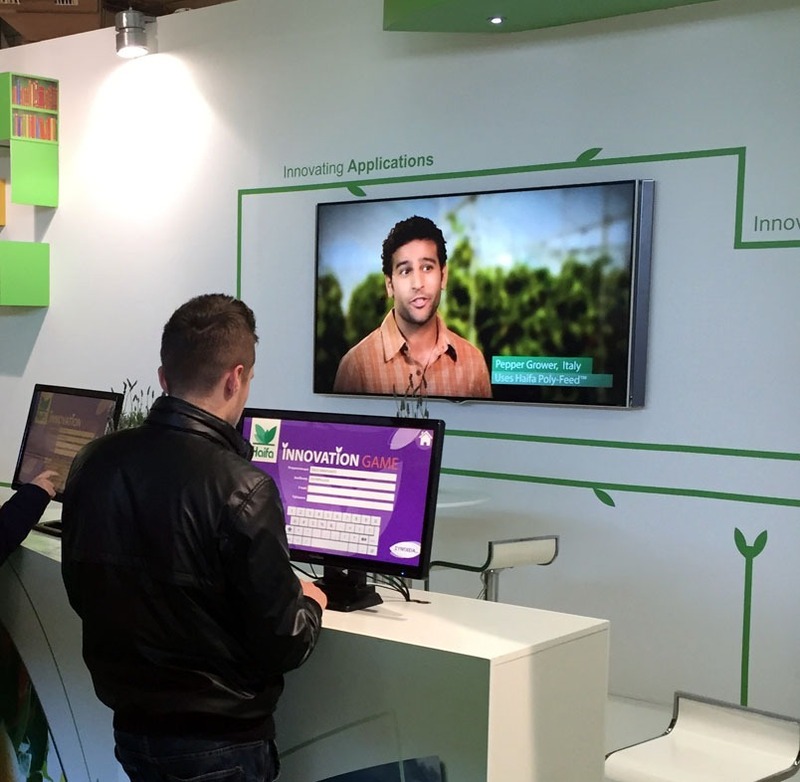 Haifa South West Europe participated at the 26th Agrotica in Thessaloniki, Greece with a touch-screen innovation game. We used our expertise to design the touchscreen game and gameplay. We developed the bespoke touchscreen innovation game software from scratch to make it come to life. The touchscreen game worked offline so no internet was required. It saved results locally on the touchscreen with a real-time leaderboard. The touchscreen game was loaded onto our 46″ Touchscreen with integrated PC. The touchscreen game was completely ‘locked-down’ to be plug and play. It meant all the client had to do on the exhibition stand was turn on the power! The game was a huge success. The touchscreen game helped engage delegates in a fun and informal way, while collecting key contact details.